Like him or not, James Cameron sure knows how to make a movie. His latest film Avatar has recently became the highest grossing film of all time, raking in a ridiculous $1.859 billion. 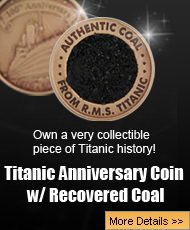 This number eclipses the previous movie Titanic, also directed by Cameron that brought in $1.843 billion. It cannot be denied that Cameron knows how to capture the attention of a wide demographic of moviegoer and create movies that flat out make money. Here are some of the reasons the latest Cameron films have been box office hits. In the Titanic movie, Cameron made the wise decision of picking heartthrobs Leonardo DiCaprio and Kate Winslett to portray the main characters, a love story that is almost too good looking to occur in real life. Avatar implemented the same type of approach with visuals so stunning that they would be impressive to nearly everyone. Using the latest technology available and really running with it, the Avatar movie took advantage of the breakthroughs in 3d and Imax and allowed viewers to be transported inside the fantasy world. 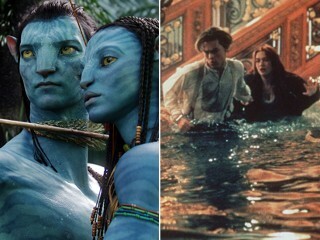 Always visually stunning, always engaging, the Titanic movie and Avatar have it all. Plenty of emotion, special effects that blow audiences away, and characters that are well developed. Audiences end up loving or hating characters designed by Cameron and connect with them, even if they are little blue people. Say what you want about the budget of his movies, but the result is always something stunning. After creating gems such as Terminator and Aliens, it’s not surprising that Avatar is a great science fiction/fantasy movie, a genre that Cameron is used to working within. The happy ending. Something that Cameron illustrates perfectly, and sometimes unexpectedly. Both films take the idea of a happy ending and really drive the point home. The incredible ending of Titanic showed a ‘love conquers all’ type of ending which people go crazy for. Cameron’s movies have been successful simply because he knows the formula and knows what’s popular at the time. In an event that few thought possible, Avatar has finally sunk Titanic and has become the highest grossing box office film of all time.